Although wall lamps mainly serve for mood lighting or accent lighting, the appearance of wall lamps has become more important. Wall lamps are hanging on the wall and during the day when the lamps do not light up, you obviously want to have something nice hanging on the wall. 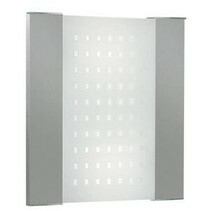 The choice in different types of wall lights is therefore great. Almost every shape and color wall lamp is available. Are you going for classic? Then elegant and round shapes fit perfectly in your wall lamp. But round, convex or graceful is something that many people today abandon. It reminds of classic lamps and does not always match the interior. Would you like to change style? 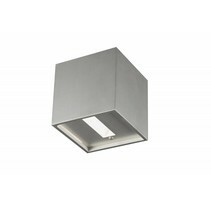 Then square wall lights are a good alternative for your old wall lamps. 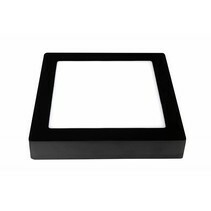 The characteristics of square wall lights are actually clear and that is mainly the shape. 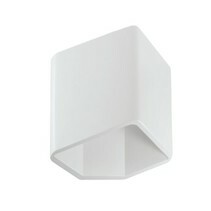 With square wall lamps you have moved away from curves in your wall lamps and opt for something completely new. 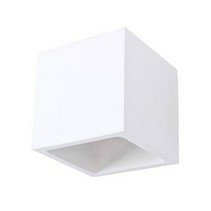 This will take some getting used to, but just count on it that a square wall lamp will stand beautifully on your wall. In addition, you do not have to worry about lighting. 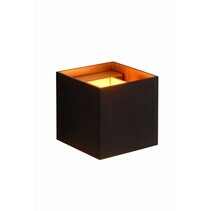 Even with square wall lamps you will be able to create beautiful mood lighting without having to pay for light. 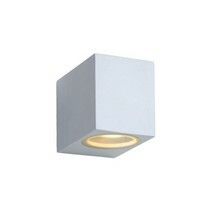 Just like round or convex wall lamps, the square wall lights are also available as uplight or downlight. 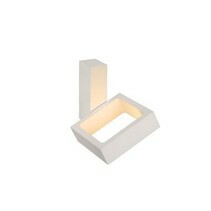 This gives you modest lighting from the bottom or top of your wall lamp. Then there are the wall lamps with a square lampshade in milk glass or with a fabric lampshade that provide a beautiful diffuse light. 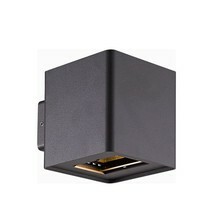 Do you still need something more light from your square wall lamps? 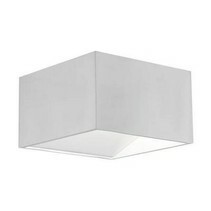 Then you can also opt for a square ceiling lamp. 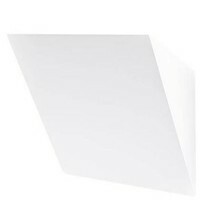 You can mount these both on the ceiling and on the wall and will provide sufficient lighting. 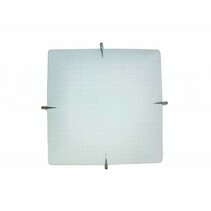 Spots in square shape as a wall lamp will also look beautiful and you can easily accentuate an object with it. 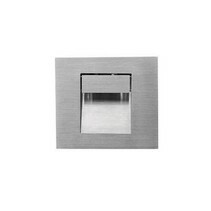 Are square wall lights suitable for every interior? 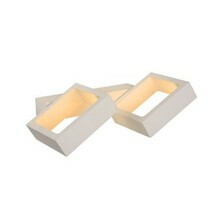 Wall lamps in a square shape are suitable for almost any interior. 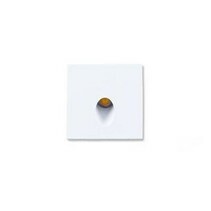 This also depends on the type of wall lamp that you choose. A very tight square lamp will not easily fit into a classic interior, but there are also very nice square lamps in the form of a romantic lantern. 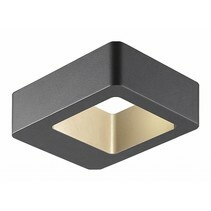 In very tight and modern interiors wall lights square shape come into their own. 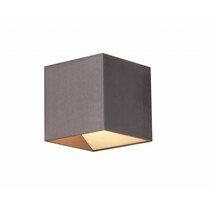 Square wall lamps are naturally modern to look at and should not be lacking in a modern interior. 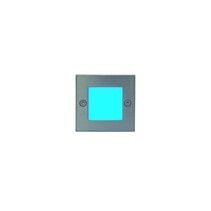 Why would you buy your square wall lights at My Planet LED? We are a service-oriented lighting shop and we deliver your order as well nationally as internationally. Our customers say we provide an excellent personalized service! The payment possibilities are versatile and secure! In addition, we are member of a quality mark which controlls if their members follow all the customer legislations. 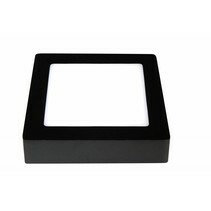 Do you hesitate about a square wall light? No problem! You can use our 14 days return policy. This allows you to see if it fits well. And of course, you can count on the excellent service of My Planet LED. 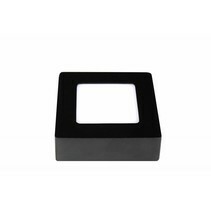 Once we receive the square wall lamp, we will inform you of the delivery. Do you have more questions? 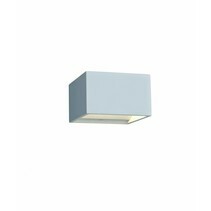 Do not hesitate to mail us (info@myplanetled.com) or by phone (+32) 57 466 866 in order to obtain more information about square wall lights.